Protect the star from incoming orbs by shooting them out of the sky. Hit as many orbs as you can with each shot by bouncing the shots between orbs and predicting how gravity will affect the shot's trajectory. Gravity Shots - Here's how our first week went. I am always doing something different when I release a game as far as the marketing strategy goes. My most successful game Letters of Marque has been by far may biggest marketing effort. I shared it on a lot of forums, ran a small advertising campaign, registered it in many game databases, and I reached out to around 150 game reviewers. It was exhausting, but it did earn the most money. I would say around $2000 so far, most of which was probably due to Apple featuring the title. For my next game, LINK I found a small game publishing company to help spread the word. It was their first mobile game from what I understand as they mostly focus on Steam games. So it may have been the wrong audience, I am not sure. It has only earned around $300, and the contract with the publisher was mutually dissolved because it was more of a pain than it was worth. The game has made about $14 from In-App purchases, and $1.06 from Unity ads. $10 came from iOS users who wanted to remove ads, and $1 was an in-game currency purchase on iOS. The other $3 were in game currency purchases on Android. We had 153 downloads on iOS and only 6 on Android. As far as I know, Apple did not feature the game at all. The game is also most popular in countries like China, Brazil, Russia, France, and Mexico, with the US coming in 6th place having only 10 downloads. So it's nothing too exciting, but I figured some people may like to read about the progress. This week, I have started a thread on the "Made With Unity" forum so we will see what kind of bump that provides. If you have suggestions for places to try posting the game next week, or in future weeks, please share in the comments below! In the mean time, I have heard a few ideas I would like to add into the game, so I will probably have some fun rolling out updates here and there. 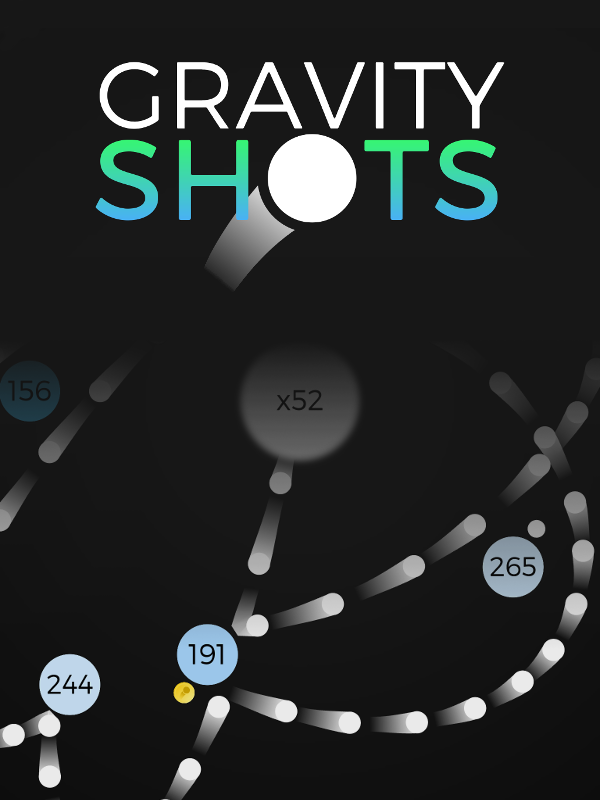 Gravity Shots has been released today for iOS and Android devices. Gravity Shots has not been tagged yet.